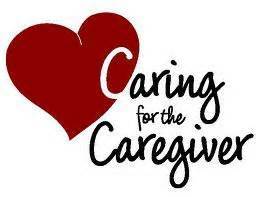 Being a PD caregiver is a mixed labor of love, commitment, and obligation. It is also, however, a job that requires certain tasks and skills to be successful. Many of us become caregivers without a clear understanding of the tasks involved and lack some of the skills necessary to successfully complete the tasks. Adding to the challenge is that most of us caregivers are spouses or children of our care receivers, which may hinder our ability to do our jobs objectively. I will discuss some of the tasks and explore some of the skills that may make care giving for a PD sufferer more successful and more satisfying for both the caregiver and the care receiver. PD is a challenging condition that affects both the motor control and the cognitive capabilities of the sufferers. PD is really a syndrome that affects each sufferer differently. The progress of the individual symptoms is different and the severity of each symptom may be different for each sufferer. However, PD never gets better. There is no remission or cure. We are caregivers for the long haul. Thus it is important for the caregiver to understand the progression of PD in their care receiver and accomplish the care-giving tasks accordingly. All of the subjects in the following discussion will not affect each PD household equally or on the same schedule. However, the household caregiver should be aware of each subject and objectively confront each challenge as it develops. Ignoring the issue will only make the ultimate response more difficult. The caregiver must become the primary household manager. The caregiver will assume management of not only the care receiver and their medications and medical interactions, but also many household tasks that had previously not been the responsibility of the caregiver. Many caregivers have had little experience with some required tasks and thus have not developed the necessary skills to successfully complete those tasks. More importantly, they may not envision themselves “in charge” of the new responsibilities and may feel challenged or intimidated. Compounding the difficulties of this new role is the fact that PD progresses slowly so the shifting of responsibility will also progress slowly. The care receiver did the taxes last year but cannot do them this year and the caregiver does not even know where the records necessary to complete the return can be found. Similar situations arise associated with bill paying, medications, dressing, shopping, cooking, laundry, and all the other tasks of household daily functioning.